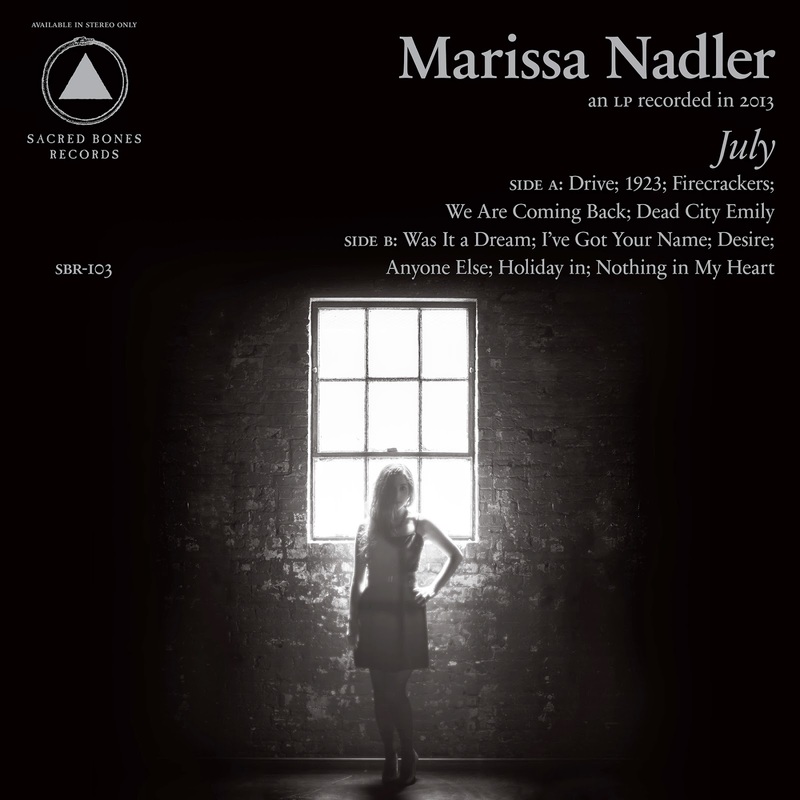 Boston based singer Marissa Nadler will take the Glasslands stage on Saturday, February 8. Doors are at 8PM and it will cost you $12. See below for more details. And, if that wasn’t enough for you, she has a new album coming out. July, is scheduled to be released on Tuesday, February 4. Check out the track, "Was It A Dream", from the album below. Recorded at Seattle’s Avast Studio, the album pairs Nadler for the first time with producer Randall Dunn (Earth, Sunn O), Wolves in the Throne Room). Dunn matches Nadler’s darkness by creating a multi-colored sonic palette that infuses new dimensions into her songs. Eyvand Kang’s strings, Steve Moore’s synths, and Phil Wandscher’s guitar lines escalate the whole affair to a panoramic level of beautiful, eerie wonder. Her voice, too, is something to behold here, at once clarion but heavy with the kind of tear-stained emotion you hear on scratchy old country records by Tammy Wynette and Sammi Smith. Long gone are the days when Nadler summoned images of 1960s folk singers who got lost in the woods. She is a cosmic force on “July,” shooting these songs to euphoric highs and heartbreaking lows. Celebrated for her crystalline soprano, she explores her lower register to profound effect throughout “July,” turning “1923” into a cinematic ode to forlorn love. Strings cradle Nadler’s vocals, cresting in a climax that is somehow vast yet still intimate. If you were to hear only one song from “July” – which would be a shame, by the way – let it be “1923.” It is Nadler in miniature: haunted, elegiac, and epic.